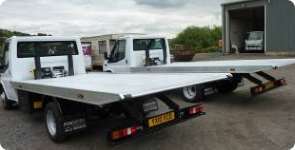 Our Easi Slider lightweight aluminium slide bed body is ideal for body shop and vehicle transportation. Built to Powertec's high specifications, Easi Slider it is a truly versatile vehicle. Due to its ultra light weight the Easi Slider maximises payload for this type of equipment. 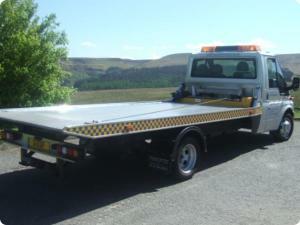 Easi Slider is low in maintenance and requires the simplest of service programmes. The Easi Slider is light, strong, reliable and is easy to use. It is excellent for transporting vehicles on both long and short journeys and its single button operation allows the bed to be operated at the push of a button. Suitable for 3.5T to 5T Chassis with a payload of 2000Kg. Yorkshire-based Alton Cars, one of the UK's largest Accident Repair Groups, are extremely pleased with their delivery of four Easi Slider Aluminium Bodies. The vehicles are to be based at depots in Barnsley. Knaresborough, Huddersfield and Leeds, who between them have the capacity to repair over 300 vehicles per week. "Company image and reliability is essential in order to give our customers a fast and professional service and we were confident that Powertec would be able to build the right vehicle and be able to give an excellent after sales service to suit our requirements. "In previous years we have operated standard slide beds with spec lifts onto 7.5t chassis' but the high costs associated with the running of these vehicles prompted us to look at something new. "The Easi Slider together with the reliability and robustness of the 4.6T Ford Transit Chassis will not only save us money in both maintenance and running costs but will also give us an excellent payload of over 2000 kg."